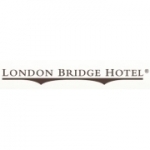 The independent 4-star London Bridge Hotel is as ideal for the leisure visitor seeking to enjoy the delights of London as it is for the business executive. Situated in the Borough of Southwark, this very individual hotel offers guests the perfect balance between traditional comfort and the latest facilities. Its heritage dates back to Roman times and many of the archaeological finds unearthed during the hotel's development are with the Museum of London. Southwark is a thriving and vibrant place to be, and is currently enjoying a new era of prosperity and growth. It stretches along much of the South Bank of the River Thames in central London. 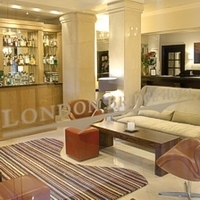 The hotel is situated opposite London Bridge, which links Southwark to the City, on the north side of the river. The area is filled with exciting museums and art galleries, fantastic restaurants and a theatrical heritage that dates back 400 years. Southwark also boasts some of the most spectacular architecture in the capital and to find some of the most dramatic sights, it only requires an afternoon stroll along the South Bank. The hotel has 138 air-conditioned rooms, four floors for non-smokers and six spacious rooms for disabled guests. In addition to the standard Double and Twin rooms there are also Deluxe and Executive rooms for your added comfort. All rooms have been refurbished in a contemporary yet comfortable style and have large flat screen television, radio, complimentary WiFi access, voicemail, a DDI line, fibre optic reading lights, mini-bar, hairdryer, trouser press, iron and board, large safe and tea/coffee making facilities. The Deluxe rooms are very spacious and have a king size bed, sofa bed walk-in closet and a DVD player.